Is it just me or is it really hard to photograph a souffle?? Nevermind, this was my first time making one and I'm more excited by the fact that it actually worked! Souffles have always seemed really daunting and the sort of thing you would only ever order in a restaurant. I made a half recipe and that gave us 4 good servings. It puffed up beautifully but I think it would have looked more souffle-ish if I had collared the dish. Next time. Yum! Light, sweet, intensely chocolatey and definitely moreish. Next time I will try individual souffles and now that I have mastered the technique I would love to try a savoury version as well. Watch this space! 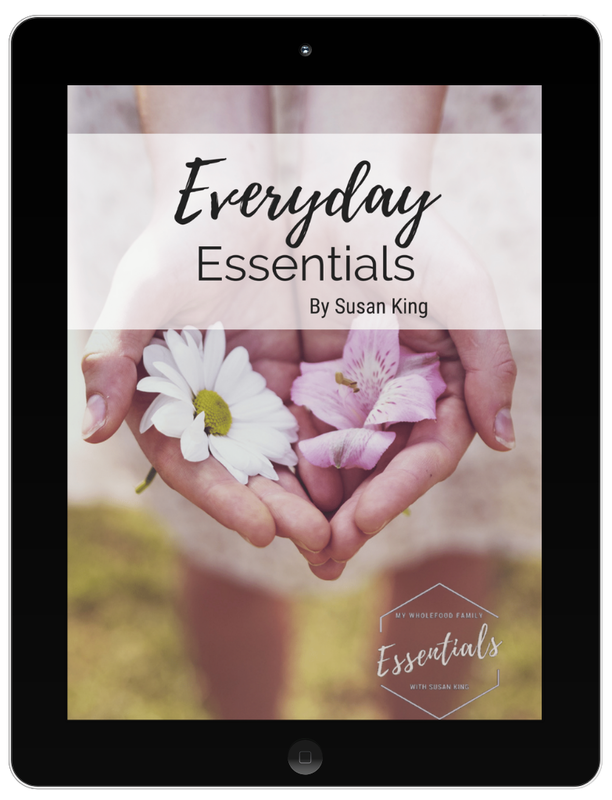 Thanks to Susan of She's Becoming DoughMessTic for a great pick this week. I probably wouldn't have made it on my own. You can find the recipe on her blog. Thanks for baking along with me this week! Yours looks great! It looks wonderful. I really enjoyed this recipe. 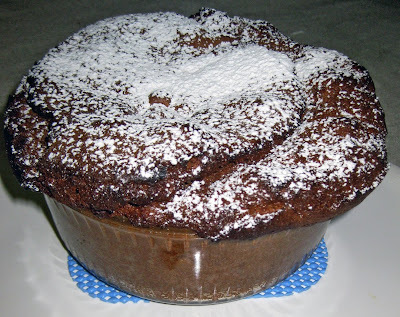 OMG, your chocolate souffle looks amazing! I love how it puffed up all over! Wonderful! Looks just fine to me. And very tasty.